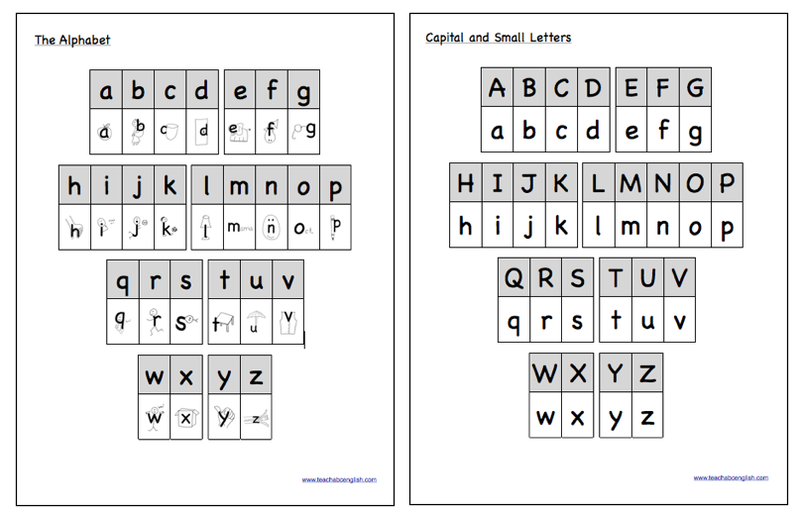 Download the following file to make individual Alphabet Charts for students. Print a copy for each student and play pointing games. Place charts in plastic sleeves for repeated use. Practice alphabet sounds, capital and small letters, and alphabetical order.